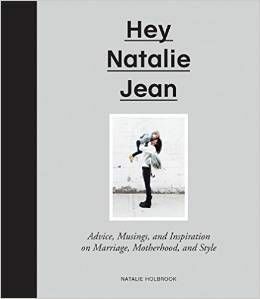 HEY NATALIE JEAN: IT'S TIME FOR BED, HENRY HOLBROOK! oh my gosh! he is sooo precious! seeing photos makes me so excited to meet my own little boy in June! 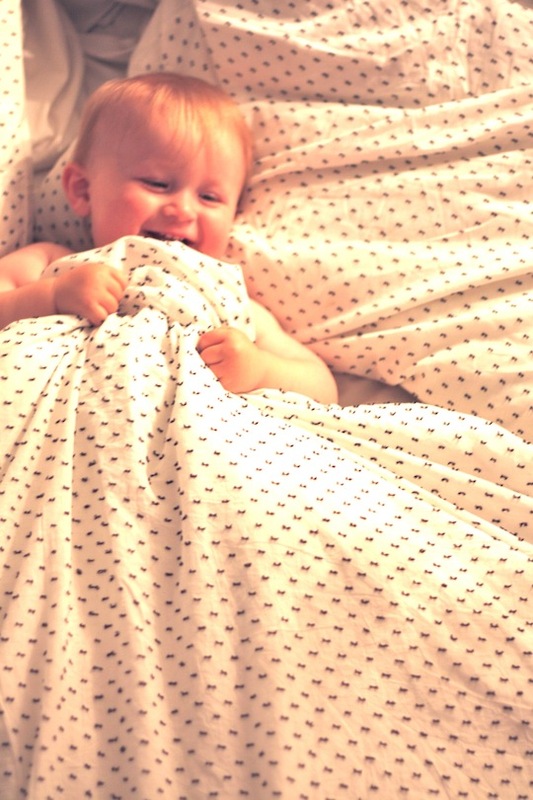 I love how he's holding onto the covers for dear life!! I love this age!! I'm sure if I feel this way it must be even crazier for you! p.s. I love your bedding. Mind sharing where it's from? Cute bedding, but even more adorable: the baby in them. I've looked through your posts about NYC, but I think you should write one about tips on visiting NY with a baby. I'm coming for the first time this summer with a 15-month-old and don't know if I'd be crazy to take a stroller on the subway, etc, etc. You seem to have a blast with Huck doing all sorts of fun things... what are your secrets?? So cute, especially those sheets. I love that we are getting a sneak peak into Hucks night time routine, first bath time now bed time. How can you resist to so much cuteness??? huck looks so comfy in those cute sheets! omg i am dying over these pictures...sooo cute! this is too cute! my little one loves sleeping in our bed haha!! i love your sheets! where are they from? That smile, just adorable! And love the sheets; where'd you get them? He looks so happy! What a sweet heart. so cute! he looks so cozy in the big bed! Love the sheets. And the Baby. Goodness where can I get me one of those? Haha, we are at the same stage when Arthur only wants to sleep in Mummy's bed!!! It's hilarious and gorgeous, and sometimes I let him so he can snuggle that velvet cheek against me and push his Dad to the edge of the bed. Heaven. so adorable! love these pics! Stop it he is so freaking cute nat! SQUEEEE! Cuteness epitomised much?! Aww, bebe! Thanks for the post. It was like a picture book. Could you see that - a little boy trying out all these beds, mom and dad's bed, the cat's bed, a dog bed, a flower bed, a truck bed, then his own snuggly little bed. oh my gosh! this might be my favorite post of yours ever, and that is saying a LOT. so adorable. so absolutely adorable! i am loving his little giggle images! !